Halfway between San Sebastien on the Basque coast and Barcelona is the sleepy little town of Barbastro. Nestled at the foothills of the Pyrenees on the Spanish side of the border, this is Somontano. Many of you have not heard of Somontano. But remember that name “Somontano”. In the recent past, with the increasing presence of Spanish wines, a lot of focus has been on Rioja, Ribera del Duero and Priorat. In the past few years, it has become apparent that at the feet of these mountains (Hence the name Somontano), vineyards thrive in ideal weather and soil conditions to make some stunning world class wines. There are several towns here around which winemaking is concentrated, but the action is all in Barbastro. Here you will find Bodegas Olvena. Although Tomas Nasarre entered the wine business recently, they are not late entrants to this area. They possessed some of the most choice vineyards in Somontano. All wines are estate bottled. Considering that they have almost 10 different bottlings that is no small feat. Also consider the fact that there is a lot of attention to detail from the growing of the grapes, vinification process, bottling and even labeling that this estate is able to produce really stunning wines and be at the forefront of Somontano’s emergence as one of Spain’s finest areas. Olvena Joven: a mixture of young Tempranillo and Merlot. This wine is referred to as Joven. A lively and aromatic wine with a cherry red colour and youthful purple hints. Intense nose of ripe red fruits with a smooth and flavorful palate due to the perfect balance between the ripe tannins and fruit. At this price, buy it by the case! 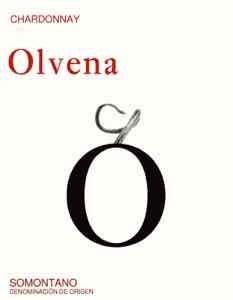 Olvena Tinto Roble: This red wine is a blend of Tempranillo, Merlot and Cabernet Sauvignon. All grapes are sourced from Barbastro and Olvena. The wine is oak aged for 5 months and allowed to develop in the bottle after that. Clarification is obtained by means of natural sedimentation. This is a wine with intense color, fruit and complexity with a long finish. Olvena Crianza: This is 100% Cabernet Sauvignon. The grapes were carefully sleected lots and fermented with stems. The wine was subjected to extended maceration. This is a wine with big red fruits, spice and a long toasty finish. This is good to drink now but will age well for another 5-7 years. Olvena Cuatro: A blend of 4 (Cuatro) grapes- Tempranillo, Cabernet Sauvignon, Merlot and Syrah. The grapes come from family lots I Figuerella, Olvena and Estadilla. All varieties are vinified separately. A cold maceration of 48 hours ensures that the aromatic properties are well defined. After the wine is fermented to dryness, it is aged for 6 months in American oak barrels. This is an intense ruby red wine with aromas of liqorice, blackberries and toasty oak. This is a full bodied wine with firm tannins and balanced acidity. Think steak or something with barbeque sauce. Olvena Chardonnay: Spanish Chardonnay? Yes indeed.The grapes for this wine was carefully selected from family vineyards in Olvena. This wine is made with the idea of extracting the best flavor from these grapes. After a cold maceration and gently pressing where only the first run of the juice is used, the wine is fermented at 16°C. This is a bright intense yellow wine with a tinge of green. There are exotic fruits on the palate and apples and peaches. Great mouthfeel with a long finish, this is a wine that does well on it’s own but shines with any food with a light cream sauce. Delicious.